Dapayk solo is a studio workaholic and he strikes a blow for vinyl. 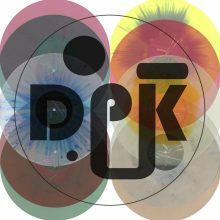 In 2009 he started his very own vinyl only series called DPK, next to his well established labels Mo’s Ferry, fenou and RRYGULAR. The idea was to present vinyl in striking colours as a special format for his liveset tracks and beloved edits by artists such as Format:B, Super Flu, Sascha Braemer and Jon Hester. It’s a feast for the eyes and the ears all in one. Now, four years later and after reaching #10 of the series, Dapayk decided to compile all tracks in a collectors box. In a review of the past ten releases he also felt it was time to make all tracks available for digital djs – in a legal way. This big bundle contains 21 tracks and ranges from minimalistic to funfair tunes and also some edgy b-sides.